Just a few years ago, consumer spending in Africa passed the US$1tn mark. The continent’s impressive growth trajectory at that time – in particular, the robust growth in Africa’s 30-largest economies – caught the attention of consumer businesses worldwide. Indeed, the consumer-facing sector has been pivotal in Africa’s growth story, accounting for almost half of the continent’s GDP growth between 2010 and 2014. But because of the recent slowdown, some executives have begun to question whether Africa’s once-roaring economy and burgeoning consumer sector still hold promise. Is Africa truly worth investing in? Can multinational companies succeed in the region? Is the African consumer opportunity still as attractive as it once seemed? Our unequivocal answer is yes – but companies will need to adopt increasingly sophisticated approaches to compete effectively. In this article, we share our latest perspectives on Africa’s outlook to 2025 and what it will take for consumer-goods companies to thrive in the region. Consumer spending across the continent amounted to $1.4tn in 2015, with three countries – South Africa, Nigeria, and Egypt – contributing more than half of that total. Food and beverages still constitute the largest consumption category, accounting for as much as one third of Africa’s household spending in 2015 (and close to 40% of household spending in lower-income countries such as Ghana, Kenya, and Nigeria), but discretionary categories already make up a substantial share of consumption. Spending on nonfood consumer goods – including clothing, motor vehicles, and household goods – accounts for a further 15% of consumption. However, due in part to currency devaluations and a sharp downturn in oil-exporting economies, spending growth has slowed. Out of the 15-largest consumption markets in Africa, which constitute 90% of the continent’s total consumption, 12 experienced a slowdown in consumption growth between 2014 and 2015 – the exceptions being Ethiopia, the Democratic Republic of Congo, and Tanzania. Clearly, the African consumer is under financial pressure. In a 2016 McKinsey survey of consumers in six African countries, two thirds of respondents said they were worried about their finances and more than half said they’ve reduced their spending (Exhibit 1). A young and growing population. The continent’s population is projected to grow by 20% over the next eight years, with Africa’s youth making up 40% of the total. By 2025, almost one fifth of the world’s people will be living in Africa. This population growth is accompanied by falling dependency ratios and an expanding workforce: The size of Africa’s working-age population is expected to surpass both India’s and China’s by 2034. Rapid urbanisation. By 2025, an additional 190 million people in Africa are expected to be living in urban areas, which means that about 45% of the population will be urbanised by then. City dwellers are voracious consumers: per capita consumption spending in large cities in Africa is on average 79% higher at the city level than at the national level. Cities in Kenya and Nigeria, for instance, have per capita consumption rates that are more than double the country rates. The top three cities in Ghana and Angola will account for more than 65% of national consumption spending in each of these countries. Rising incomes. Since 2005, increases in spending per household have been responsible for about 40% of consumption growth in Africa. By 2025, 65% of African households will be in the “discretionary spending” income bracket (earning more than $5,000). Consequently, the profile of goods and services that Africans purchase will shift, from basic necessities toward more discretionary products. Widespread technology adoption. Technology is opening many new doors for consumers. Mobile money, for instance, is growing five times faster in Africa than in any other region. By 2020, half of Africans – up from 18% in 2015 – are expected to own a smartphone, which they can use to buy and sell products and services, pay bills, and make remittances. A study in Kenya found that families with M-Pesa mobile money were able to withstand financial shocks (such as illness) without reducing their consumption, because they could borrow money electronically from friends and family. The success of e-commerce company Jumia – colloquially referred to as “the African Amazon.com” – is partly due to the fact that it accepts mobile payments, allowing even Africans who don’t have bank accounts to make purchases. E-commerce and m-commerce offerings are partially leapfrogging formal retail, and McKinsey analysis suggests that e-commerce could account for 10% of retail sales in Africa’s largest economies by 2025. East Africa’s share of consumption is projected to rise from 12% in 2005 to 15% in 2025; Francophone Africa’s from 9% to 11%. Meanwhile, South Africa’s share is projected to decline from 15% to 12% over the same period, and Nigeria’s from 26% to 22%. But given that Nigeria will still account for more than a fifth of African consumption, consumer companies can’t afford to ignore that market, even amid challenges in the business environment. In previous articles, we’ve discussed some of the imperatives for consumer companies to succeed in Africa. These imperatives – such as taking a city-based view of growth, getting credit for value, tailoring the offer to the local market, and creating bespoke route-to-market models – are as relevant as ever. But the changing consumer and retail landscape has highlighted the importance of several other focus areas: making smart use of advanced analytics across the value chain, adopting sophisticated pricing and assortment strategies, and being selective about distributor relationships. Formal retail in Africa is expected to grow by about 5% each year over the next few years, bolstered by the aggressive expansion of international retailers such as apparel players Cotton On, H&M, and Zara. However, informal retail channels are likely to continue to dominate the market in sub-Saharan Africa for the foreseeable future. Because of the highly fragmented nature of informal retail in much of Africa, many consumer-goods companies rely on a passive wholesale model and lack a direct relationship with the retailer, limiting their visibility into retail-outlet performance. But leading companies are now exploiting big data and advanced analytics to take their understanding of their customers to a new level. 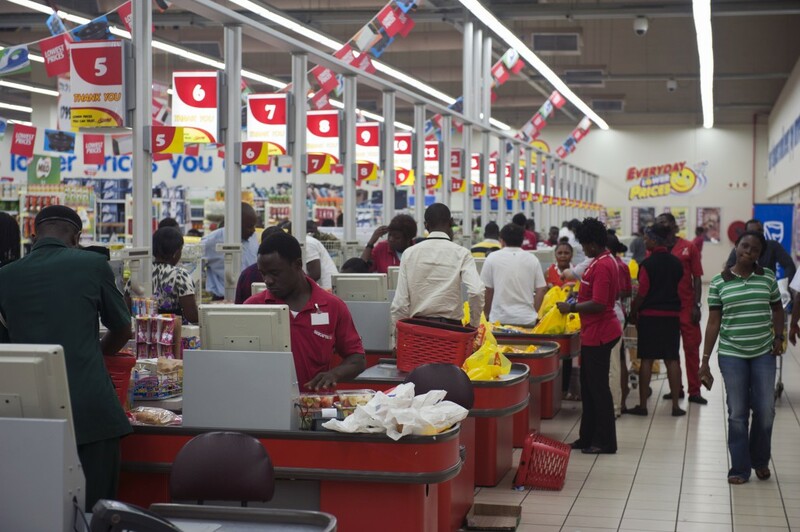 A consumer-packaged-goods (CPG) manufacturer, to serve hundreds of thousands of small outlets in Africa, equips its sales reps with handheld devices that they use for collecting detailed information about, for instance, an outlet’s product range, pricing, in-store execution, and storage space. This information, combined with internal data (such as SKU-level sales and profitability) and external data (such as weather forecasts), helps the company make outlet-specific decisions about which products should be in the assortment, how much stock the outlet should have, what types of promotions will be most effective, and so on. Sales reps then receive specific recommendations based on the analytics. Early results suggest that using advanced analytics in this way can drive a 10 to 15% sales improvement within months. Still other companies differentiate their pricing and assortment by region. One CPG manufacturer studies competitor dynamics, cost-to-serve economics, and consumer incomes within micro-geographies so that it can develop region-specific product portfolios and highly localised discounting tactics. Companies should instead be deliberate about designing their distribution network. They should select distribution partners who can help them achieve strategic objectives such as maximising outlet coverage or optimising cost to serve. They should then segment distributors based on criteria such as size and quality of relationship, and then differentiate their treatment of each segment – deploying levers such as trade terms, account planning, capability building, and territory allocation in line with segment needs or challenges. Finally, CPG companies should closely track distributor performance on clearly defined metrics (such as volume, outlet coverage, SKU coverage, and price compliance), establish pay-for-performance parameters, and conduct regular performance dialogues with distributors. A handful of large manufacturers, including Diageo and Unilever, excel at these practices. Other companies would do well to follow their lead. Authors: Damian Hattingh is a partner in McKinsey’s Johannesburg office, where Acha Leke is a senior partner. Bill Russo is a senior partner in the Nairobi office. The authors wish to thank Sidhika Ramlakan for her contributions to this article. This article was originally published by McKinsey & Company.